Bower VineEvergreen vine. 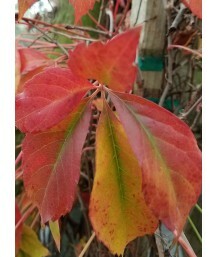 Green oval leaflets contrast with funnel-shaped magenta through to white f..
Bower VineEvergreen vine. 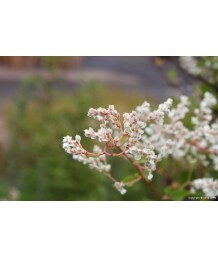 Green oval leaflets contrast with funnel-shaped pure white flowers. Blooms..
Bower VineEvergreen vine. Green oval leaflets contrast with funnel-shaped pure pink flowers. Blooms ..
Bower VineEvergreen vine. 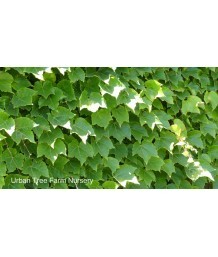 Green and cream variegated oval leaflets contrast with funnel-shaped pure ..
Silvervein CreeperDeciduous vine. Native to China. Mostly five parted leave with toothed rather narr..
Virginia CreeperDeciduous vine. Very fast growing. Will attach to any surface. Large five-part leafl..
Virginia CreeperDeciduous vine. Gigantic vine but easily controlled by pruning. Mostly five-parted l..
Boston IvyDeciduous vine. Very fast growing. Will attach to any surface. Large three-lobed, dark-gre..
Veitchii Boston IvyDeciduous vine. 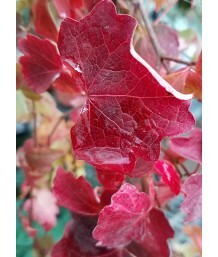 Popular clinging vine with purplish new growth, maturing to green.. Passion VineDeciduous vine. A vigorous vine with a long blooming period. Flowers have coral-pink pet.. Passion VineEvergreen to semi-evergreen vine. Will die to the ground in colder areas. Twining stems .. Passion VineDeciduous vine. A vigorous vine with a long blooming period. Flowers have vibrant purple.. Passion VineEvergreen or semi-evergreen vine. Will die down to the ground in cold winters but will c.. Passion VineEvergreen vine. 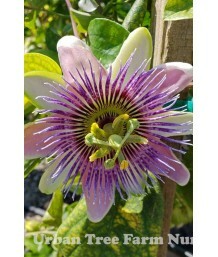 This is an attractive, reliable, evergreen climber that has beautiful gr.. Passion VineEvergreen vine. Needs protection from winter frost. Fast growing. Needs support structur..
Silver Lace VineDeciduous vine. Somewhat weedy vine that spreads by rhizomes. Ovate leaves emerge ti..